Initially, because it is absolutely FREE! With the introduction of digital media, consumers frequently ignore traditional means of advertising. Advertising on an airplane shows multiple benefits; chief among them is reaching a captive and wealthy audience. In this day in age, it is almost impossible to find a captive audience with time to spare. With mobile connectivity on the rise, consumers increasingly utilize smartphones and tablets for their information and entertainment needs. Traditional channels of Computer, TV and Radio become less effective. An airplane in flight is one of the rare places where mobile connectivity is not available and consumers are receptive to other distractions in order to pass the time seated in a crammed airplane seat. A highly advantageous setting for advertisers as shown by conventional print media found in the seat back pocket, inflight magazines and inflight catalogs such as SkyMall. The advertising industry reports some of the highest recall rates of ads in inflight magazines/catalogs with a 25% positive shift in the intent to buy with up to 2,000 times the impact of traditional media. Furthermore, airplane passengers enjoy high disposable incomes. A US market study shows that 61% earn an average household annual income of $75,000 and 46% earn in excess of $100,000. 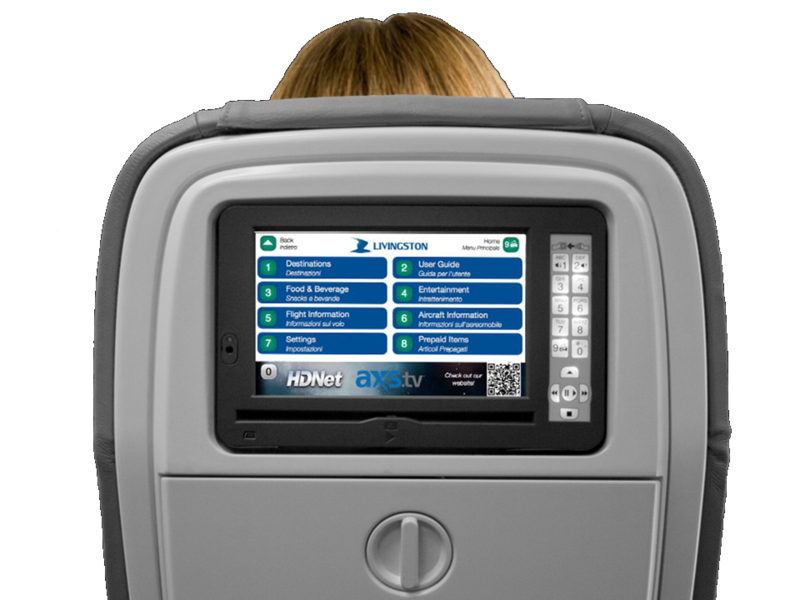 Improving traditional print media with its high reproduction cost, non-interactivity and limited updates, our seat back mounted interactive screen and ad delivery process focuses attention, broadens abilities and streamlines engagements with the inflight passenger.